Someone needs to put their foot down...and that foot is me. I think the other ad is just as great! "Looking for a REAL travel deal?" 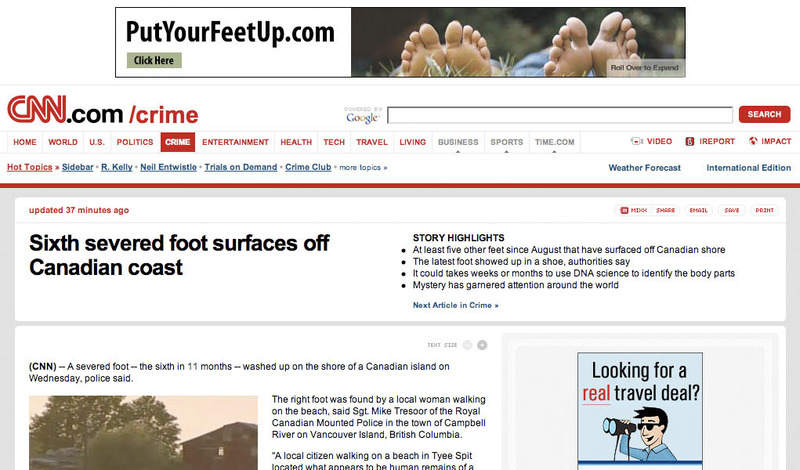 Should be followed by "Canadian island hotels starting at just $39 a night!"